A charming VP that delivers gorgeous flavours. The quality of this vintage is instantly apparent. Better hit QVM for some Stilton. 2000 was a stunning year for Vintage Port. 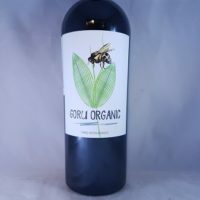 Ripe, powerful but with some finesse . The familiarity of dark fruits, chocolate, raspberry and florals makes this instantly appealing. The long finish and evolution in the glass keeps you hooked. 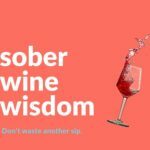 It’s great because it is drinking now rather than needing a full 25-50 years to come around. Pair it with blue cheese. Owned by the famous Port barrons the Symington family, Warres is one of the classic old Port houses. 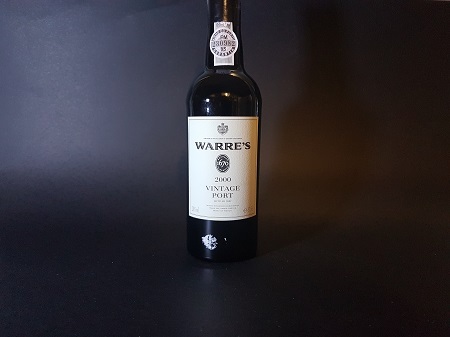 Warre’s makes the quintessential black fruit, firm tannin, clean alcohol style of Port. 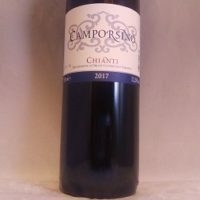 With access to many great Port growing sites and the ability to shuffle substandard grapes into other revenue streams there is no reason for these wines are always rewarding and tasty. Port is a style of wine but also the name of the region that sits on the terraced hills that over look the River Douro. 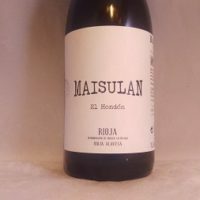 They are most famous for the barrel aged red grape based fortified wines that can be aged for 50 years depending on style. 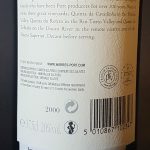 The grapes used are the native Touriga Nacional, Touriga Franca, Tinta Barroca, Tinta Cão and Tinta Roriz (Tempranillo). White Port is also seen around but not lauded like the Red styles and don’t age. The Douro is capable of making some stylish and modern reds and whites too. Only about 2% of the total production as the big houses only release a VP in ‘declared’ (ie great) years. This means the fruit quality is outstanding. Some of the houses do release a ‘Single Quinta’ VP every year to celebrate the diversity off vintage. Unlike Tawny Port, VP is generally aged for only 2 – 2.5 years in the cellar before bottling for sale, the bulk of the evolution takes place in the bottle. VP ages and evolves a lot like great Bordeaux, slowly and rewarding patience and great cellaring conditions. Touriga Nacional is the most desirable for quality Port but proves difficult to grow and offers small yields. That means Touriga Franca is the greatest plantings and can be seen as the Cabernet Franc compared to Nacionals Cabernet Sauvignon. 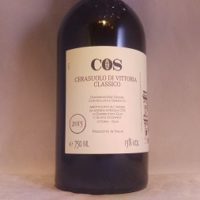 Tinta Barroca can withstand the cool conditions on the North facing slopes, Tinta Cão offers finesse and complexity and Tinta Roriz aka Tempranillo offers its own perfume and charm. 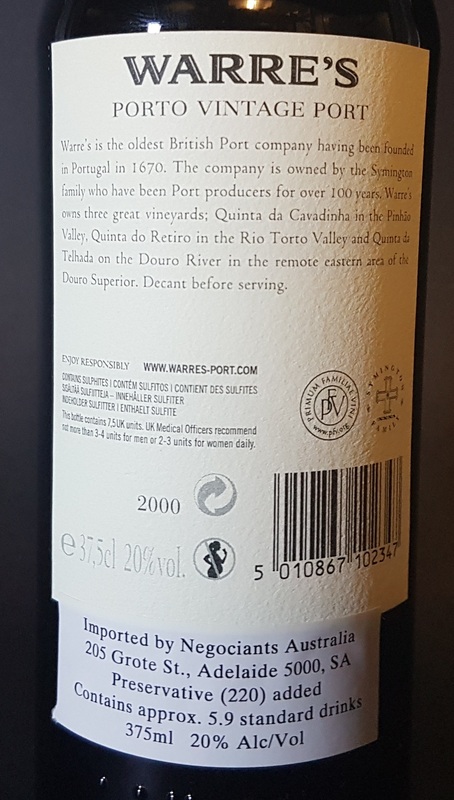 Be the first to review “Warres Vintage Port 2000 375ml” Click here to cancel reply.